Lavender Fields are what inspired this recipe. 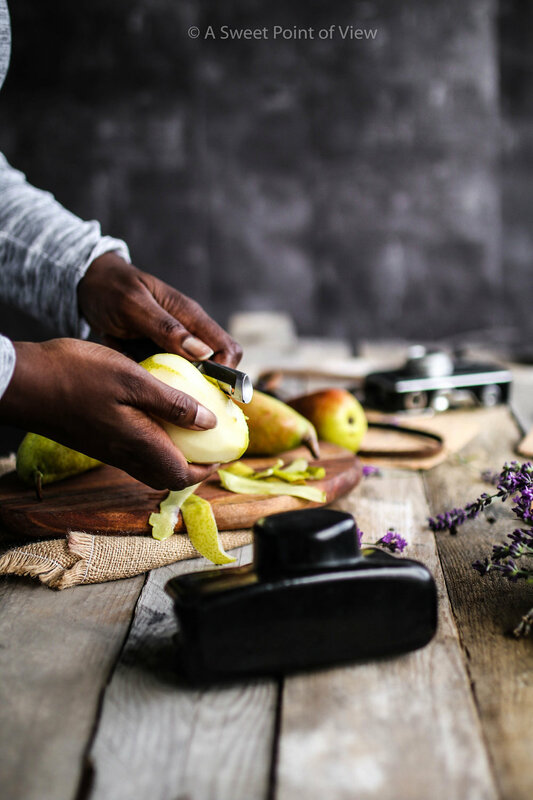 There is nothing more fancy but easy to do than poaching pears and adding different flavours every time you try this recipe. Inspired by our travel to Croatia this summer, this beautiful recipe is both simple and a savoury to my summer travel. It reminds me of turquoise seas and the smell of the salt on your skin after diving into the ocean. Special memories like the holidays with the people you love are experiences you want to savour and remember. With Lavender being at every corner of the beautiful island of Hvar it was clear that what we would take home was a taste of lavender with the smell this intense plant reminding us of carefree days at the beach. Everything about lavender is intense, the smell, the purple colour and the taste. And there is always something special about using lavender in any recipe, something unique in how anything turns out in taste, in smell. Filling the entire house with this unique aroma that can be smelt even days after cooking and baking. Lavender give you the possibility of savouring memories for a long time. Dried in the sun, the can be stored for years to come and used in every dish, baked or cooked to give that evening supper a hint of special summer memories. A fall Recipe which will remind you of those beautiful summer months. Put Lavender Stems into a pot with the pealed Pears. Then cover pears with water and cook on low heat for about 25 minutes. 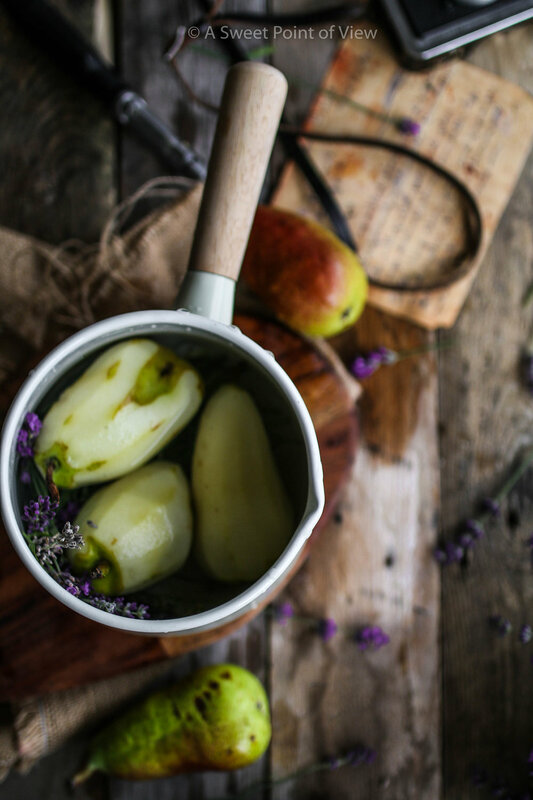 The longer you cook the pears the more intense the Lavender flavour gets. Dry the Pears and let them cool on plate. Mix the Birch Sugar, Butter and Flour in a mixer and flatten out on a baking tray. Then bake for about 20 Minutes or until light brown. Break the flat cake into crumbs and let them cool for 30 Minutes. Then sprinkle crumble on pears.